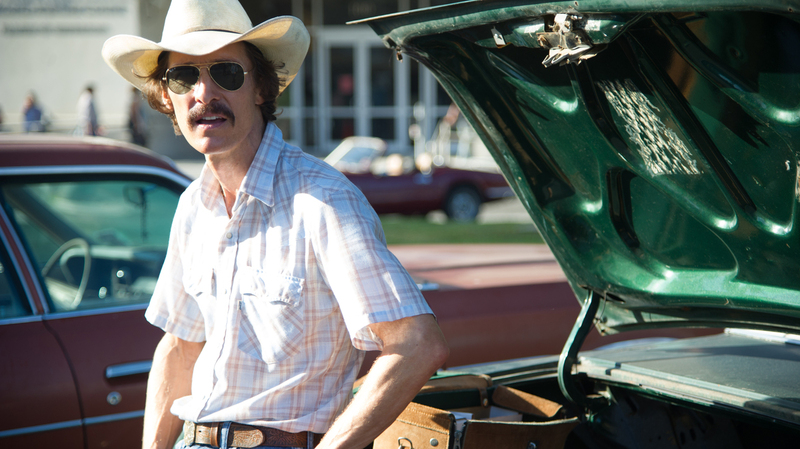 In Dallas Buyers Club, Matthew McConaughey takes on the role of Ron Woodroof, a Texas man who, diagnosed with AIDS in the 1980s, begins to smuggle experimental drugs in from Mexico. Texas good ol' boy Ron Woodroof was a player — drugs, alcohol, women, gambling. As Dallas Buyers Club starts, he's at a rodeo, snorting cocaine, with a fistful of bets, when he gets it on with two prostitutes. Not a "healthy" lifestyle — one that's left him gaunt, weak, coughing. With the advantage of hindsight, what's ailing him seems obvious now. Back in 1986, it didn't, until doctors did a blood test and told him he had 30 days to live. 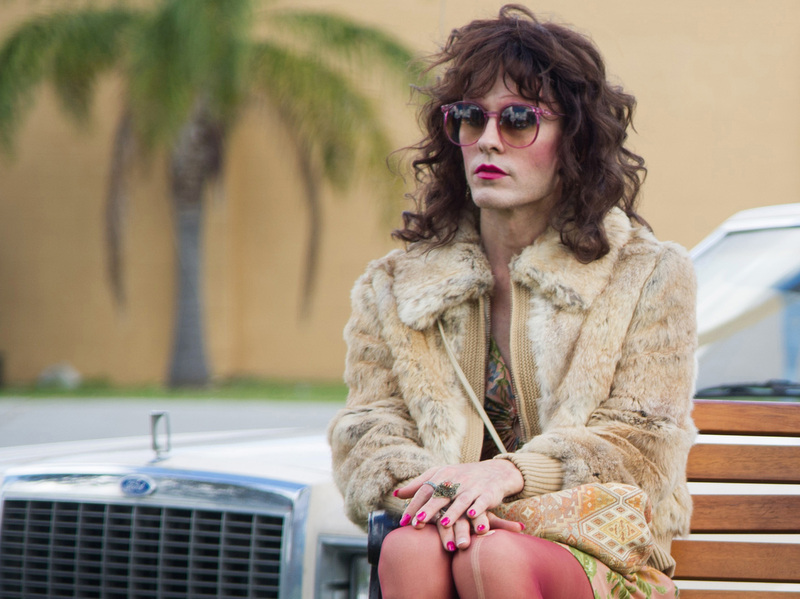 Rayon, played by Jared Leto, is a fellow patient who goes into the buyers' club business with Woodroof. Woodroof (Matthew McConaughey) won't accept that. He offers to pay cash for experimental drugs, but until the Food and Drug Administration approves a drug therapy, you can't just buy it — in this country. So Ron heads south of the border, where he discovers other things the FDA hasn't approved — proteins, vitamins. Realizing folks in the U.S. are desperate, the hustler in him starts hustling. He fills the trunk of his car with pills to bring back, again and again — far too many for his own use, which is something the border agents start to notice. Turns out importing drugs for sale is a federal offense. But early AIDS activists came up with a workaround: a club. Pay a monthly membership fee and get "free" drugs. Woodroof's club soon has people lining up, which alarms the medical establishment, including a doctor (Jennifer Garner) who'd caught his eye when he was diagnosed. McConaughey's flirty drawl and rowdy energy have never been put to better dramatic use than they are in Dallas Buyers Club. His commitment to playing this jerk — and in the movie he is a jerk, if a seductive one — is almost scary. McConaughey lost 38 pounds to look properly emaciated. Jared Leto did much the same to play Rayon, a woman who wasn't born a woman, and who's not cowed by Woodroof's homophobia. The filmmakers know they're pushing buttons in an era when stories about gay people, Big Pharma and big government all resonate differently than they did in 1986. And they do not try to outfit their story with false uplift, or make it about a community coming together.